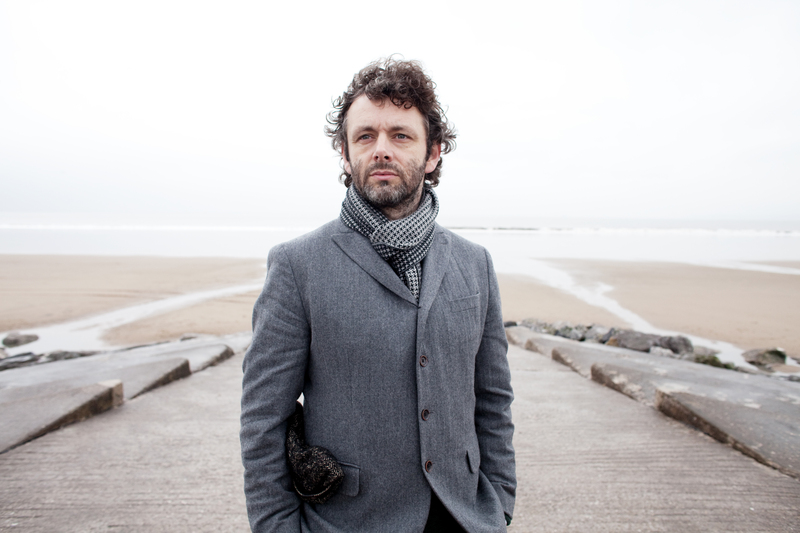 Cast includes: Michael Sheen, Matthew Aubrey, Nigel Barrett, Francine Morgan and Matthew Woodyatt. Michael Sheen became a Messiah of his home town over the Easter weekend with his leading role in a 72-hour epic retelling of The Passion, yet is was Port Talbot that was the real star of the show. For the sheer numbers in the audience (6000+), and national and international press attention The Passion is an ambitious event sure to go down in folklore. Two years in the planning and several months in community build up, National Theatre Wales joined forces with Cornwall’s WildWorks to create a multi-platform delivery of an age-old tale co-directed by local-boy-done-good Michael Sheen and the innovative Bill Mitchell. In this version of The Passion, poet and author Owen Sheers has scripted a contemporary reinterpretation of The Gospel of St Mark that sees Port Talbot in a battle for its life. ICU, an unsavoury company has invested in and taken charge of the town and plan to change it forever, but it soon becomes apparent that they believe that the town is ‘worth more empty than with people in it’ and are only interested in profiting from the building of the M4 Passover road. In comes the angry Resistance pushed towards more peaceful protest via their new leader The Teacher, a man who has been stripped of his memories and is there, apparently, just to listen to the stories of the town. In the inclusion of terrorist threats, snipers, suicide bombers and corporations running towns, Sheers has made The Passion very much a story of our time, yet it is the compassionate tales of Port Talbot’s community both in the performances, and in the enthusiastic chattering crowds, that turns the production into a once-in-a-lifetime experience. The production had begun planting seeds in the weeks leading up to the start of the real time performance. Posters and Banksy-esque iconic graffiti appeared across the town centre. Those who broke the code phoned a number and heard an answerphone message from The Resistance. Local media began to release stories of a missing man. Rumours started. The Buzz spread. On Good Friday the action proper began in scheduled and unscheduled performances across Port Talbot – in the Civic Square, on the beach, in Aberafan Shopping Centre, under underpasses, on roundabouts, amidst scrubland and graveyards – and involved a cast of 14 strong core members and 1000 local volunteers. At 5.30am a word-of-mouth audience gathered on Aberavon Beach to watch a dawn baptism. By 3pm 6000 revellers including Sheen’s girlfriend Rachel McAdams were gathered on the seafront straining to catch a glimpse of The Arrival as local gymnastic squads, choirs, and bands entertained the crowds and Crusoe figure The Stranger foretold the story of The Passion to small groups of those who would listen along the shore. As one would expect from a WildWorks production, The Passion is inventive in its use of the landscape, allowing the story to grow out of the place. They utilised the post-apocalyptic backdrop of the Steelworks, and the ever-present splicing of industry and community, such as where the M4 monstrously overshadows the remaining terraced half of Llewellyn Street, allowing the town’s ghosts to speak alongside living locals. The Last Supper was eaten in The Seaside Social & Labour Club where The Teacher, his followers and a select audience shared sandwiches and a finger buffet, took part in a raffle and were entertained by Iwan Rheon (Misfits), The House Band (aka The Manic Street Preachers, who played Motorcycle Emptiness, If You Tolerate This, and a reworked A Design For Life before being ‘arrested’ and manhandled off the stage), Paul Potts and a finale by local band Weird Naked Indian for which the whole audience got up to dance. Outside the club, the garden of Gethsemane took place in a skip on the housing estate opposite. God was a roofer who explained, from some scaffolding, how one damaged tile needed to be sacrificed to save the whole roof. Followed on twitter (#ntw13), on TV and on the streets of Port Talbot, this was multi-venue participatory theatre on a vast scale, and unsurprisingly not everything went to plan. Occasional lines were forgotten, some events started late, sound didn’t always carry, and at times viewing was obscured but such slights didn’t actually matter all that much, for The Passion was a great deal more than the sum of its parts. The magic is in the detail and the smaller stories, and in the passion of the ensemble volunteers. Hour by hour, day by day, the layers built up and Port Talbot rediscovered both its voice and its confidence and we, the audience, discovered its heart, bringing tears to many eyes. While the paparazzi busily papped an enigmatically dishevelled Sheen, the audience papped each other and the screens which live-streamed the action to none-wristband holders; documenting the event on YouTube and camera-phones. On Easter Sunday more townsfolk who had not followed the whole event ventured out of their houses in droves to line the streets for The Procession and cheer a visibly exhausted Michael Sheen on as The Teacher made his long and arduous journey to his death, dragging his cross the miles from the town centre to the beach. Much like The Teacher could remember nothing following his 40-day exile to the mountains, after gathering the stories of the town over the weekend, when it came to his harrowing crucifixion he declared ‘I Remember’ and shouted out the places and names of Port Talbot, those revered, those gone but not forgotten. The Teacher, an an embodiment of the industrial town, was crucified and reborn. The Passion may have finished, but following this weekend the spotlight is very much on both Port Talbot and National Theatre Wales. They are not afraid of their future. Something quite special has begun. For those who missed the event there are many videos and news snippets on The Passion website including the final instalment of The Teacher’s Story. My Kindle Single Arrivals is Out Now!